First, I want to wish my U.S. readers a very happy, safe and healthy Thanksgiving today. This is the day we remember our blessings and give thanks for everything and everyone we have in our lives. I am thankful for my friends and family, and for you, my readers. Writing and publishing my stories and being able to share them with you is a dream come true and I am indeed blessed. As you enjoy your turkey, cranberries, potatoes and pumpkin pie today, I have a new book for you to read while you are lounging on the couch with a cup of apple cider and relaxing with your loved ones. 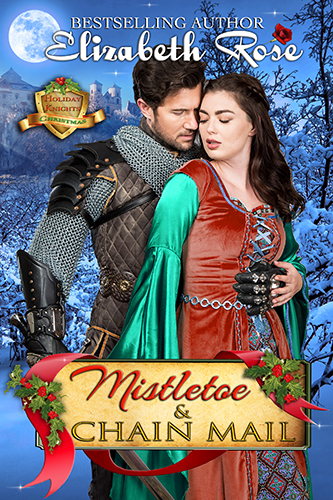 Mistletoe and Chain Mail is now available for only 99 cents and Kindle Unlimited members read free! If you enjoy audiobooks, you are in luck. This book will be available in audiobook format sometime in the next two weeks, and is already available as a paperback as well. This is Book 1 in my new Holiday Knights Series. In this book you will experience the traditions and customs of the medieval times. Find out how they celebrated Christmas and what crazy things they did for twelve days straight. I had a fun time writing this book and especially including all the types of foods they ate back then. Did you know they didn’t have potatoes or pumpkins in the middle ages? But they did have mince pie and roasted goose. My hero, Sir Adam de Ware has the unusual talent of being able to whip up a delicious meal. And he uses this skill as his secret weapon to seduce Lady Eva Cavendish to get information since he is a spy for the king. You will also find out how a piggy bank originated as well as revisit the song, The Twelve Days of Christmas as you read each chapter of the book. I am very excited about this series. With each book I will delve into the way the lords and ladies of the castle celebrated holidays way back when. Watch for more Holiday Knights, the next book featuring the holiday of Valentine’s Day, coming to preorder soon! I also wanted to tell you about a special limited time collection I put together for the holidays. It is a boxed set with five of my books that all take place in the winter or at Christmastime or New Year’s. 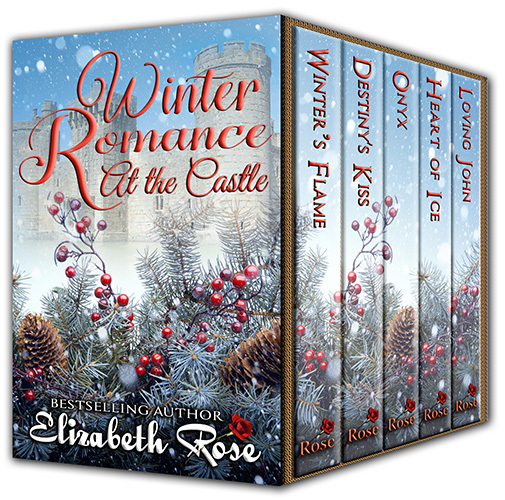 Remember to pick up the collection of Winter Romance at the Castle for only 99 cents or KU reads free. But this is only for the holidays, so get your copy before it disappears. Once again, enjoy the holiday and I wish you all good health and a safe journey venturing into winter. This entry was posted in audiobooks, Boxed sets, Contemporary Romance, Free book, Medieval Romance, New release, Paranormal Romance, Uncategorized by Lizrosek. Bookmark the permalink.